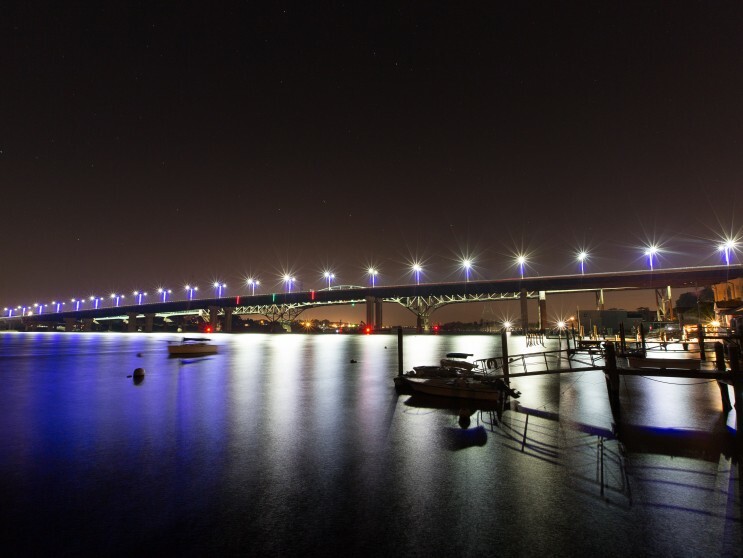 RIDOT enlisted Northeast Collaborative Architects, Commonwealth Engineers & Consultants, Inc., Parsons Brinckerhoff and Ventrone Architects to design the new Sakonnet River Bridge. 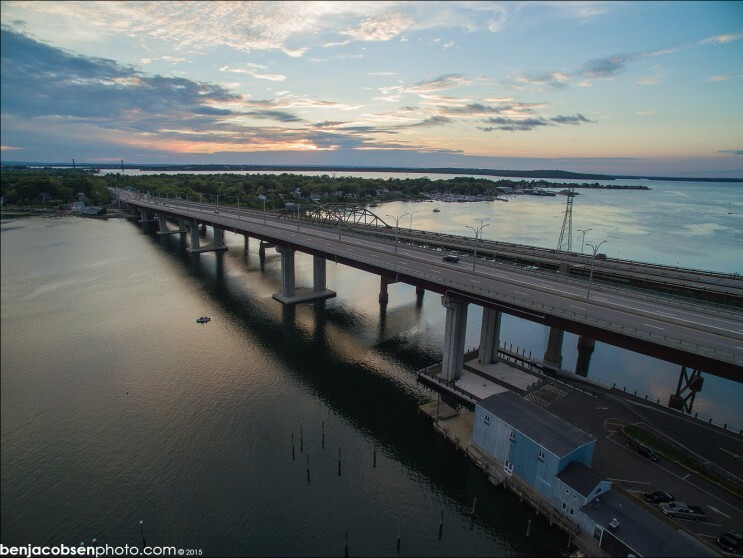 The new bridge replaces a deteriorated steel span built in the 1950s. 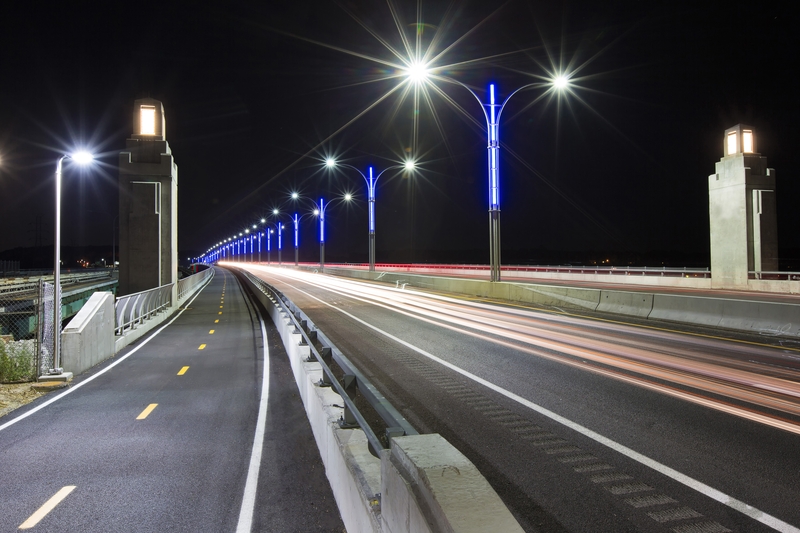 The new concrete and steel replacement carries Route 24 between Tiverton and Portsmouth. 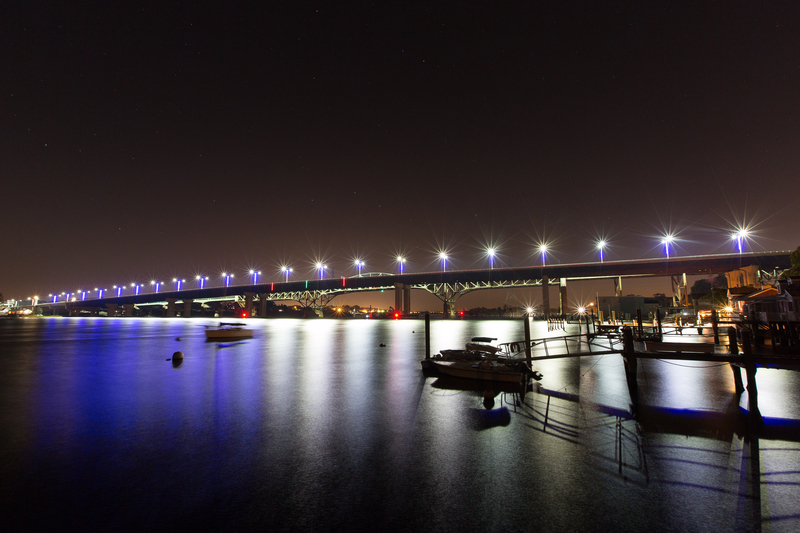 The new bridge is 2,265 feet long and 96 feet wide. 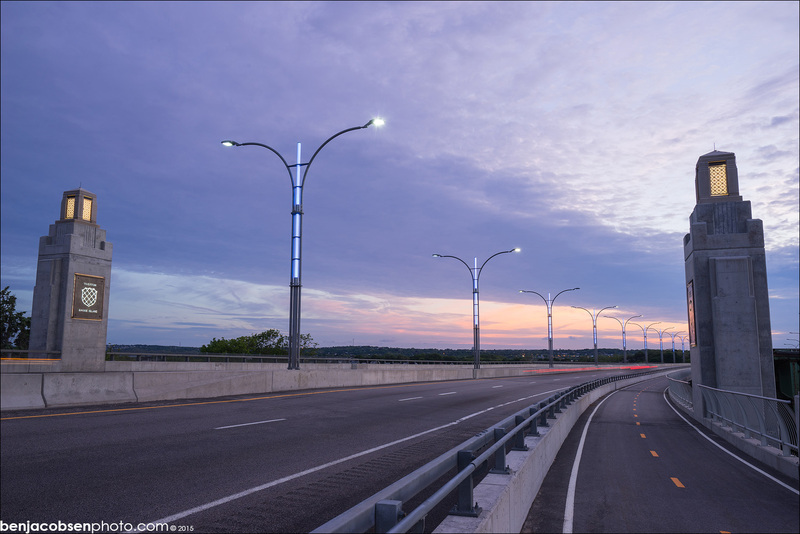 A pair of 12-foot lanes in each direction with wide shoulders were designed for motorists. 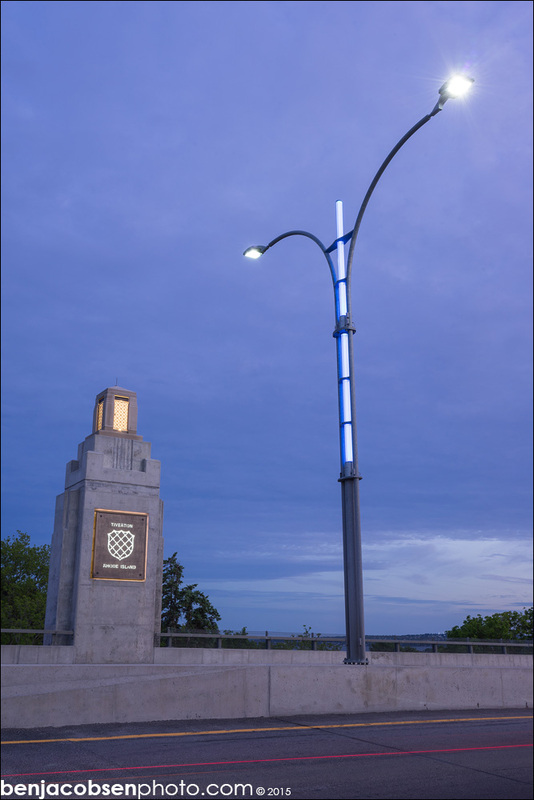 Pedestrians and cyclists may enjoy scenic river overlooks on a 13-foot wide path on the north side of the bridge. For mariners, the bridge features a 65-foot vertical clearance that forms a wide passage beneath the bridge’s center span. 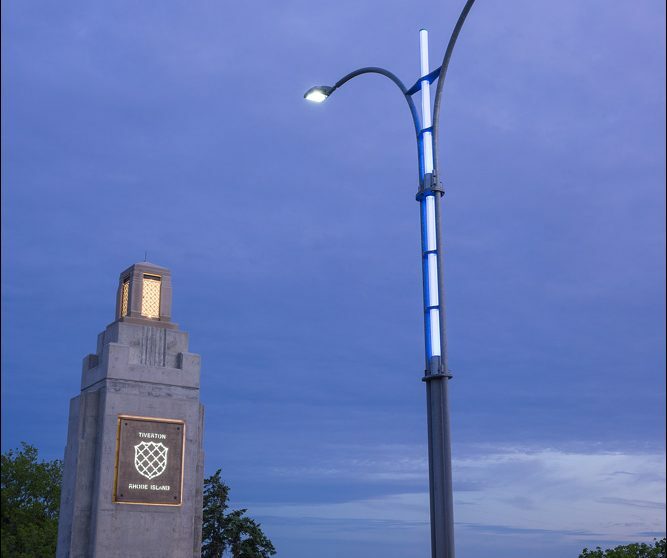 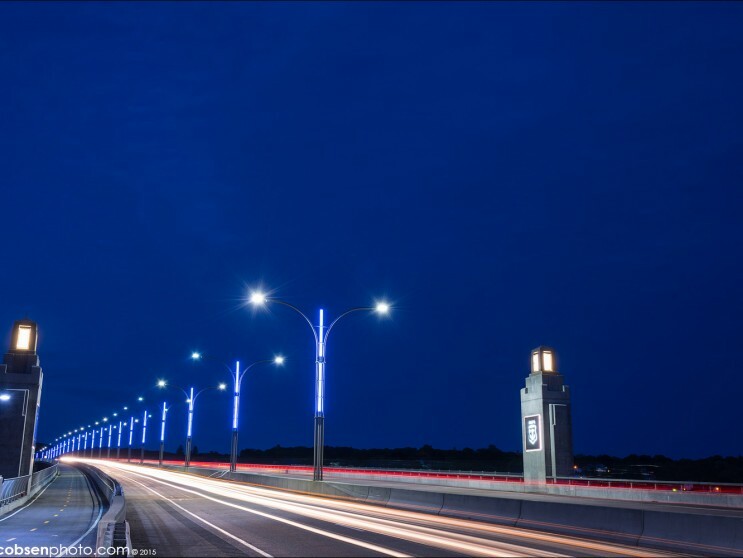 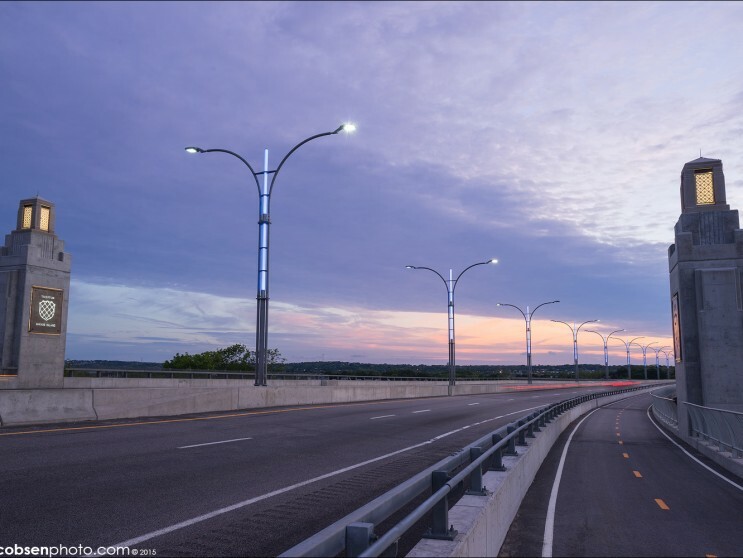 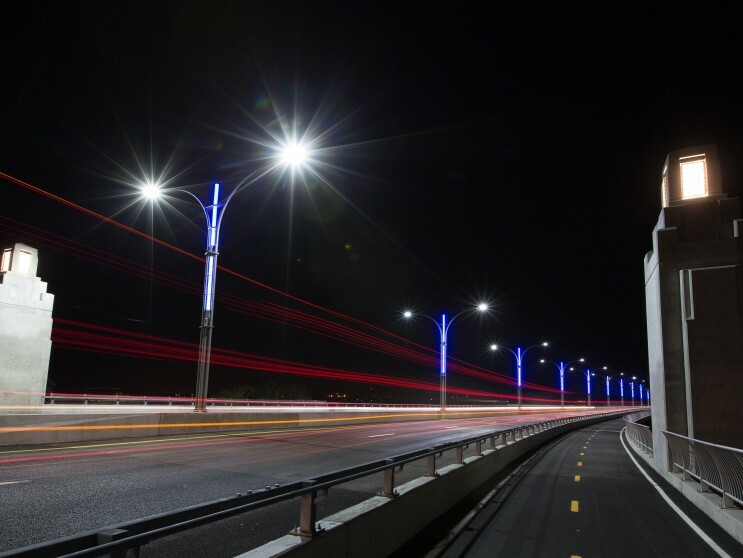 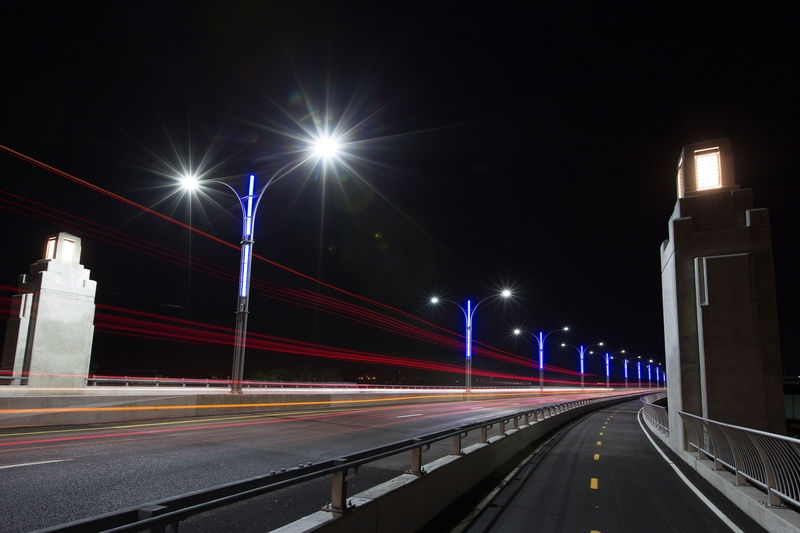 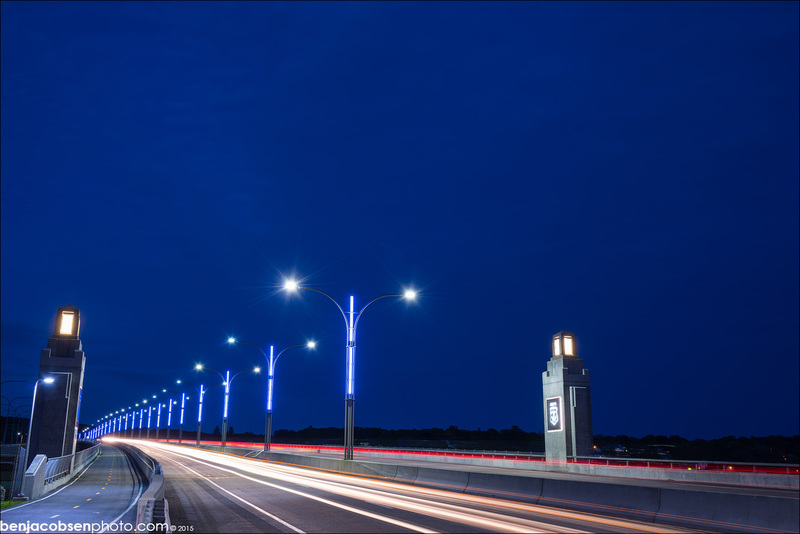 The bridge includes a number of unique architectural features including LED-based lighting that illuminates the center median light posts and piers, and bronze plaques that depict the official seals for the State of Rhode Island, Tiverton and Portsmouth. 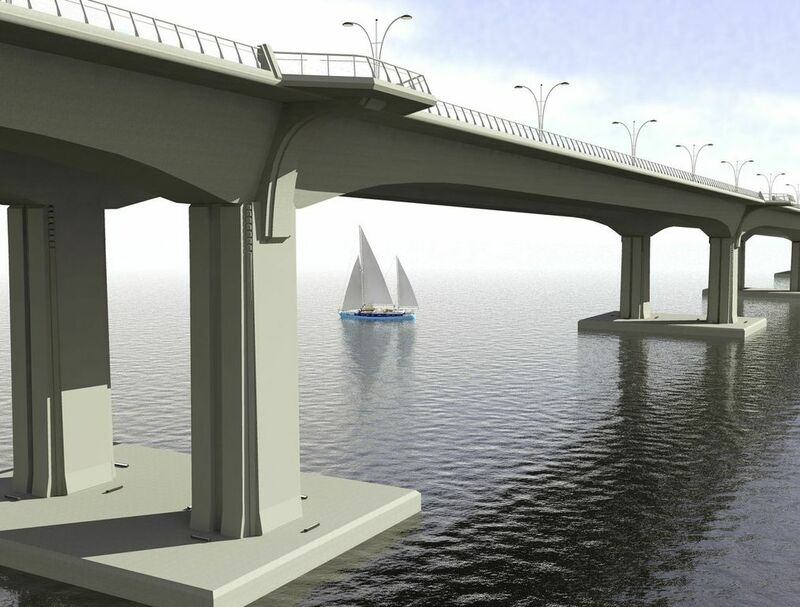 The project also calls for the construction of a parking area and boat ramp on the Tiverton side of the bridge. 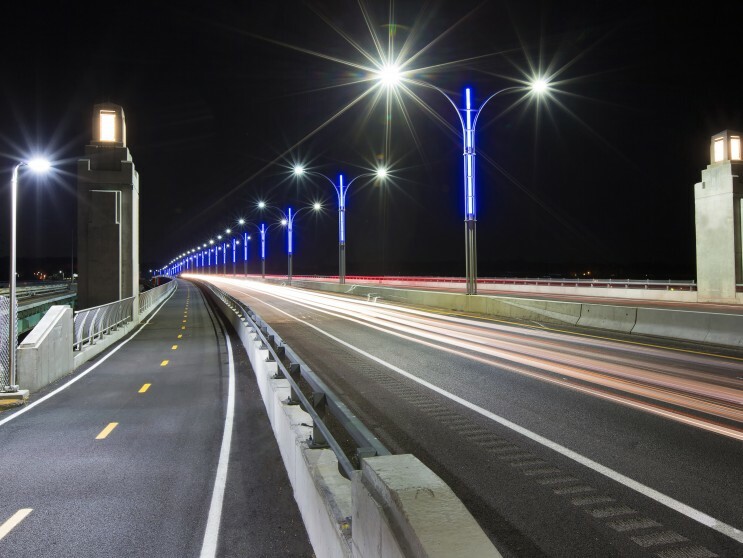 The project earned the National Steel Bridge Alliance Prize Bridge Award.